Bringing you the best Vegas-quality Casino theme party night since 2005! Did you know that Ace High Casino Rentals is one of the largest and longest operating casino party night rental companies in Southern California? 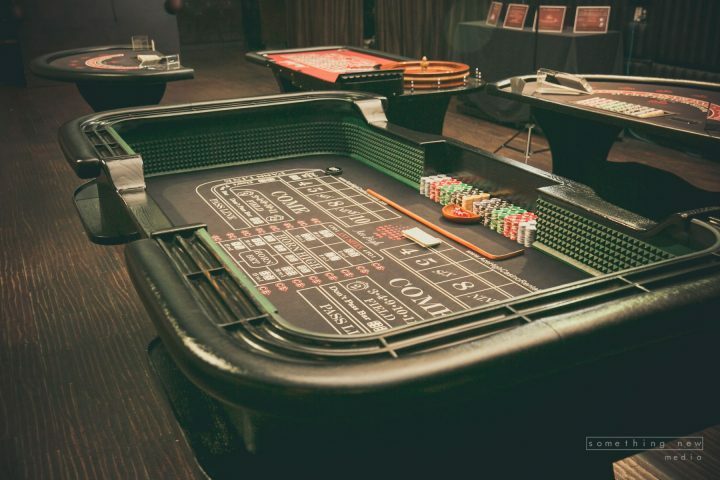 For more than a decade, Ace High Casino Rentals has provided over 1,000 Las Vegas-quality casino theme parties to Los Angeles, Orange County, San Diego, Riverside and other areas throughout Southern California. Ace High Casino Rentals was founded in 2005 when poker and other casino games were trending throughout the country. This was due in large part to the explosive popularity of the World Series of Poker. Our founder, Brandon Hall, was trying to sell an old poker table on craigslist, but ended up renting it out for more than the asking price. The rental sparked a business idea! Thus, Ace High was launched out of Brandon’s apartment in downtown San Diego. 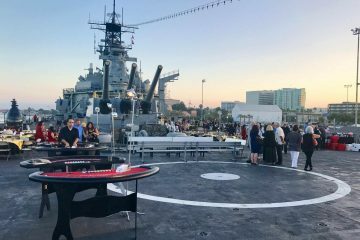 Ace High Casino Rentals now delivers over 350 casino party night events annually and has grown to become one of the largest casino party night companies in Southern California. 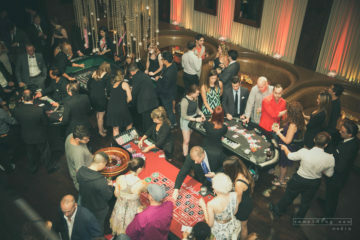 We provide the most modern and professional Las Vegas-quality tables, themes and decorations to corporate events, company parties, birthdays, fundraisers, conventions, grad nights, reunions, poker tournaments, holiday parties, office parties, charity events, and many other casino themed events. What makes ace high better than other casino event planners? 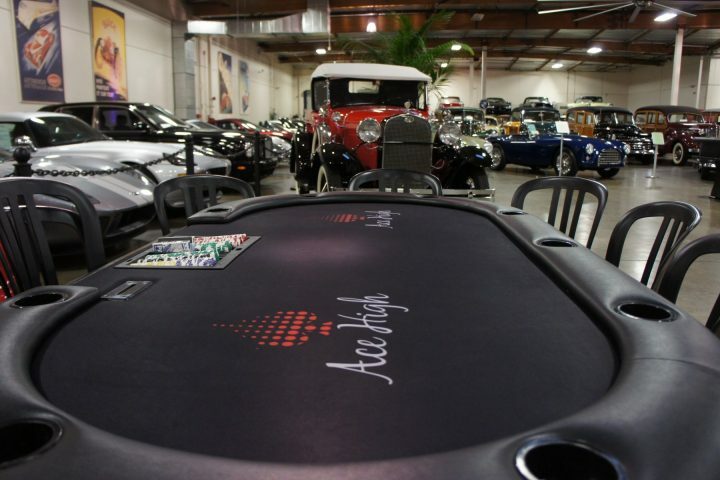 Las Vegas-quality Tables: Our casino tables are custom-made for Ace High in Los Angeles with the finest materials. Ace High customers experience the thrills of Vegas without the travel and expense! Professional Staff: Our team is made up of over 200 dealers with years of experience throughout Southern California. Labor Law Compliant: Ace High staff members are W2 employees. Customers do not have to worry about labor laws haunting them down the road. Read more about Why Labor Law Compliance and Working with W2s Matter (link to blog post). Insured and Licensed: Ace High is insured and licensed by the California Department of Justice so customers can rest assured that they are dealing with the most professional casino rental company. NACPO Member: Ace High is an official member of NACPO (National Association of Casino Party Operators). Customers can rest assured that they are working with the most professional casino party rental company. Our top quality game tables are uniquely designed and manufactured for Ace High in Los Angeles. 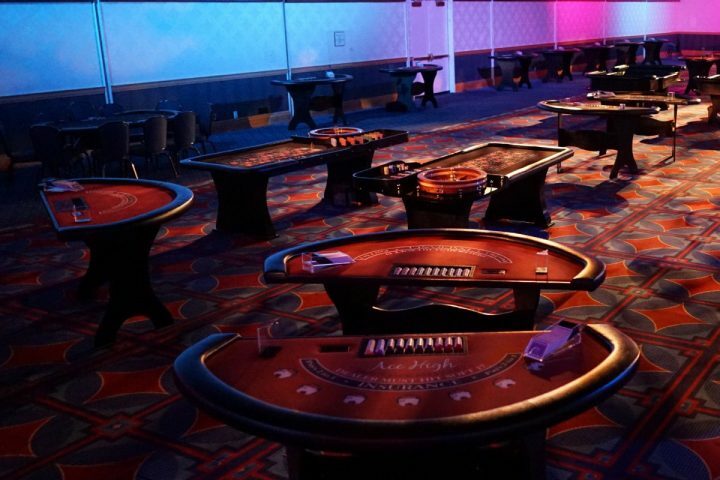 The tables we designed are black with red accents to provide sleek, fresh, modern ambiance to your casino themed party. All the tables include: chips, cards, dice, wheels, and every gaming accessory unique to each game. We include such Vegas-featured card games as Blackjack, Poker, Roulette, Craps, Three-Card Poker, Caribbean Stud, Let-It-Ride, Wheel of Fortune, and more! Our high-quality chips are fashioned with composite clay material that distinguishes itself from cheap plastic play chips that other vendors provide. We use these chips to provide an authentic Vegas experience, and separate ourselves from the competition. 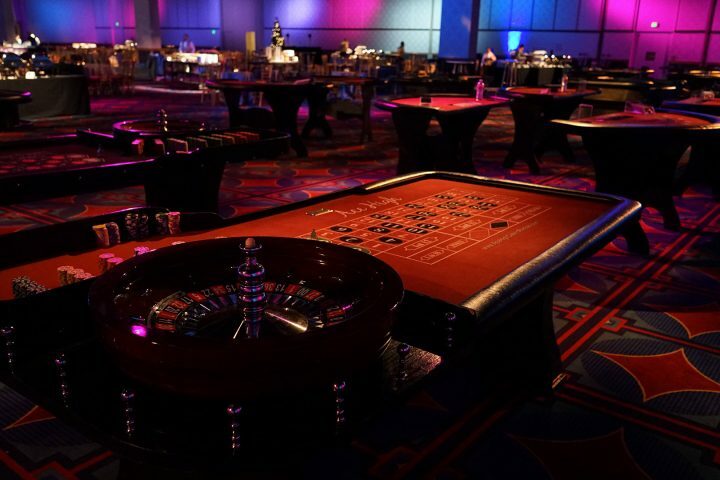 Our professionally trained dealers will keep the games exciting throughout your event. If you have no idea how to play a casino game, don’t worry! All our dealers are chosen for their courteous attitude, knowledge of casino games, and ability to intermingle with large groups. They have clean background checks and are ready to give you the casino theme party night you deserve! Welcome to Las Vegas Sign: Our life-size Welcome to Las Vegas Sign will make your casino themed party unforgettable! The sign is available for rent on a first-come -first-serve basis. Book yours now! Showgirls & Bartenders: Ace High offers all female dealers (aka Showgirls) upon request as well as bartenders and bar tops. Our Showgirls are very popular so make sure to book them ahead of time! Custom Funny Money: Want a personal message or logo printed on your paper funny money? Ace High offers custom funny money options at customer’s request. Make sure to request this service ahead of time! Gold Bar Scratchers: Ace High offers ten complimentary Gold Bar Scratchers with the rental of five or more casino tables. 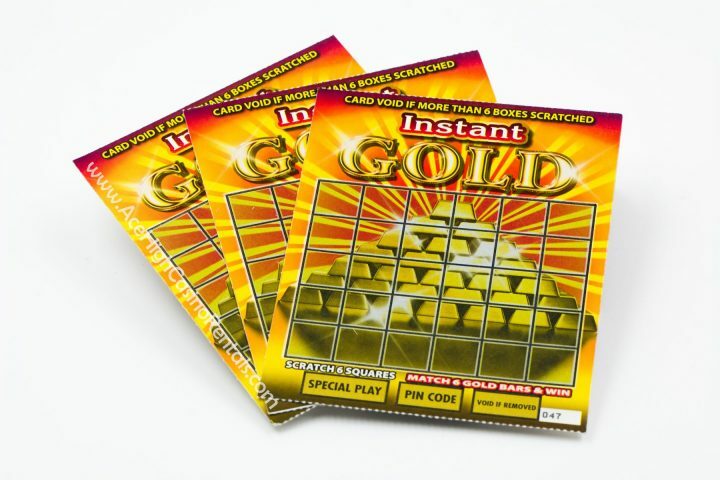 You could win up to $10,000 if you scratch size gold bars in a row! Rent five or more casino tables for your chance to win. OneHope Wine Case: Get a 12-Bottle case of OneHope Wine when you rent five or more tables. Indulge in a quality glass of vino while enjoying your casino theme party night, on us! We’ve been very fortunate to have a great staff made up of 200+ dealers throughout San Diego, Orange County, Los Angeles, and Riverside that are the heart of our events. Managing everyone is a challenge, but thanks to the customized web calendar Ace High uses for staffing, and our tech savvy dealers, we’re able to get 100’s of people to events all over California. Among other cities, Ace High Casino Rentals may serve the following areas: Los Angeles, San Fernando Valley, San Diego, Long Beach, Pasadena, Van Nuys, San Bernardino, Inland Empire, Riverside, Anaheim, North Hollywood, Glendale, Irvine, Santa Clarita, Inglewood, Santa Ana, Burbank, Orange, Orange County, City of Industry, Santa Monica, Whittier, Torrance, Laguna Beach, Canoga Park, Chula Vista, Fullerton, Northridge, Oceanside, and Woodland Hills. To find out more about Ace High Casino Rentals visit our Facebook, Yelp, or see some of our recent events on Pinterest.